This year, students and faculty from the Counseling Psychology Doctoral program attended and presented at the American Psychological Association's Annual 2018 Convention in San Francisco, CA. 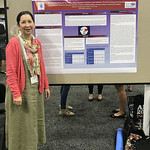 Dr. Pamela Foley, the Director of Training at Seton Hall commented, "the annual APA convention provides an invaluable opportunity for both students and faculty to present their research, to interact with and learn from leaders in our field, and to build networking connections that may be lifelong." 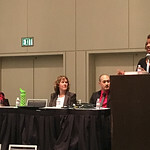 Students shared their professional development experience of the convention. 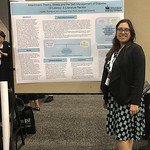 Kalya Castillo, a second-year student in the program presented a poster that she co-authored with her research mentor, Dr. Minsun Lee "How Does Internalized Oppression Affect the Identity Development of Biracial Black-Asian Americans?" Castillo commented, "I had a great experience at the conference! While I felt nervous initially, it felt good talking about the topic of my research competency project, which is a very new and personal venture for me. 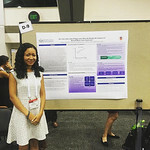 I had the opportunity to meet a biracial Black-Asian student who was very supportive, and who echoed the need for more representation of biracial and multiracial identities in research." 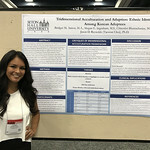 Third-year students, Kristin Kim-Martin and Yubelky Rodriguez presented posters "Role of Church Support in Mental Health of Second-Generation Korean Americans" and "Attachment Theory, Stress, and the Self-Management of Diabetes in Latinos: A Literature Review" respectively with Dr. Minsun Lee. Christopher Thompson, a third-year student also presented with mentor Dr. Lee, "Reclaiming public safety: Community-led solutions to preventing violence and victimization" in addition to a symposium talk with department co-chair Dr. Corinne Datchi entitled "Attending to researcher positionality in qualitative research with criminal justice populations." Other second-year students, Bridget Anton, Chiroshri Battacharjee, and Megan Ingraham presented their posters with research mentor, Dr. Jason Reynolds entitled "Tridimensional Model and Adaptation: Ethnic Identity Among Korean Adoptees" and "Resilience: Exploring the Journey of Name Reclamation for Korean Adoptees." Anton shared, "the APA Convention 2018 influenced my decision to move forward with my research project after the abstract was accepted. I had the motivation to fully immerse in the data in order to be prepared to present my research to psychologists in the field." The faculty of the Counseling Psychology program presented and chaired symposium presentations, poster presentations, and conversation hours. Dr. Peggy Brady-Amoon discussed "Preparing psychology students for action as social justice advocates," among other facilitative discussions around multicultural education. Dr. Corinne Datchi presented on "Psychological research with Criminal Justice Populations-Critical Theory and Qualitative Inquiry" among other topics related to family therapy, and survivors of intimate partner violence. 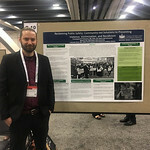 Dr. Foley co-authored posters, with former mentee Keoshia Worthy on the coach-athlete relationship among athletes with exposure to community violence, among others. "APA is always an inspiring convention. There are so many new things to learn and share, networking opportunities, and more. Seton Hall, as usual, was well-represented!" remarked Dr. Peggy Brady-Amoon. It is clear that the Counseling Psychology doctoral program produces research that both promotes professional development and can serve communities meaningfully.